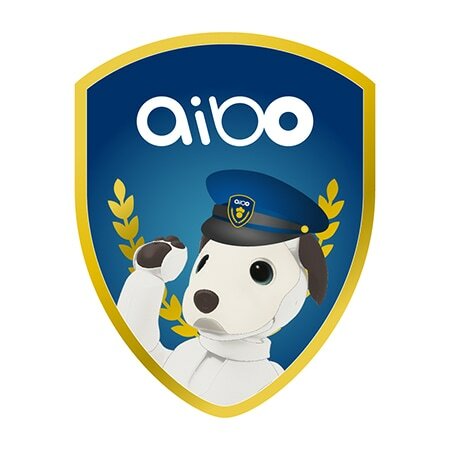 Announcing the Launch of "aibo Patrol"
aibo Patrol is a new service built on the concept of "securitainment" (security and entertainment)*4, which provides peace of mind in addition to the everyday fun of living with aibo. When the service launches, aibo will become able to patrol a room and report on its condition free of charge. Sony will also continuously expand and add new features to aibo Patrol post-launch. Additionally, the "aibo Premium Plan" scheduled for a June 2019 release plans to add even more new features to aibo Patrol, remove the limit for the number of photos aibo can store, provide original photo album designs, and more. Furthermore, Sony has kicked off a partnership with SECOM CO., LTD (SECOM) that aims to deliver futuristic new features and services. In addition, aibo's software API, which promotes product and service collaborations with partner companies and organizations, will see a general release from summer 2019. 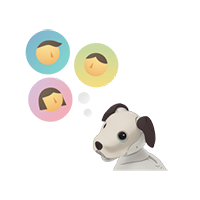 The faces and names of up to 10 people can be registered to "My aibo" for aibo to find. The map of the house created by aibo will now be viewable through My aibo. 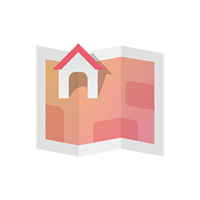 This map can be used to select locations for aibo to patrol and to assign names to the patrol routes. At the pre-registered time of day, aibo will play the "Puppy Patrol" melody and make its way to the selected location, find the "Person of Interest," and show off its adorable moves. 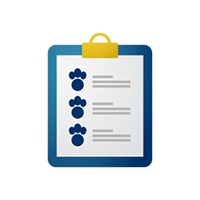 Use My aibo to check reports about aibo's patrol status and daily interactions with aibo. For more details about aibo Patrol, please visit our official website at here (Japanese only). The aibo Premium Plan is a new service developed with the concepts of "making aibo an even bigger part of the family" and "bringing memories to life." It is scheduled to launch from June 2019 for a monthly subscription fee of 1,480 JPY. At the time of launch, it is scheduled to have the following features*5, with more additional features to be added continuously post-launch. Adds a number of handy new features, such as using my aibo to remotely send aibo on patrol even from outside the house, receiving patrol status updates from aibo in real-time, and getting convenient push-notification alerts from aibo's Target Person Registry. Removes the current limit of 500 saved pictures*6, allowing aibo to capture as many family memories as owners like without worrying about storage space. Provides a service that owners can create an original aibo design photo album, combining owner's pictures of aibo and pictures taken by aibo into one. Stores photo memories from aibo Patrol and aibo Cameraman as well as records of interactions between owners and aibo, and allows owners to revisit these happy memories in diary form through My aibo. Sony has kicked off a partnership with SECOM to make Securitainment a reality. SECOM boasts a home security network that covers the breadth of Japan as well as security services that utilize IoT, making them leading experts in the fields of home security and protection. By combining their expertise with Sony's AI, robotics, and entertainment, we will provide new kinds of value. This partnership will begin with proof-of-concept feature collaboration between SECOM's home security and aibo Patrol, and aim to provide futuristic new features and services going forward. "We at SECOM provide a variety of home security solutions. Due to a rise in Japan's elderly population, there is a rapidly growing need for home security not only when leaving the house or on vacation, but also when at home. In order to address this demand, we believe the evolution of our services and the further integration of AI and IoT technologies is essential. By partnering up with Sony's AI, robotics, and entertainment, we are able to create a brand new world of home security. Moving forward, we will deliver fun to customers in addition to safety and security, and hope to make home security feel more accessible than ever before." Aiming to bring about even more diverse use-cases for aibo, Sony will begin a licensing program that makes aibo's software API generally available in order to promote collaboration with other companies, organizations, and individuals on products and services. As the first step of this program, Sony plans to make aibo's development environment (web API) publicly available and free of charge starting summer 2019. *1API: Stands for Application Programming Interface. An interface for controlling aibo externally. *2This feature is not intended for caregiving, child-rearing, medicinal, or crime prevention purposes. Sony cannot be held responsible for any incidents, accidents, or damages incurred as a result of attempting to use the features for these or other purposes. 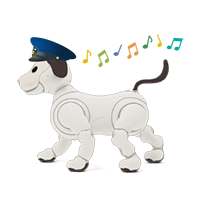 *3With aibo system software update 2.0, aibo Patrol features can be used exclusively from the My aibo app for smartphones. *4A word coined by Sony that combines security and entertainment. *5Service content is still in the planning stages and subject to change before launch of the service. *6Limits may be imposed in situations that clearly exceed standard usage parameters by a large margin. *aibo and are trademarks of Sony Corporation. *All other listed companies and product names are trademarks or registered trademarks of their respective companies.